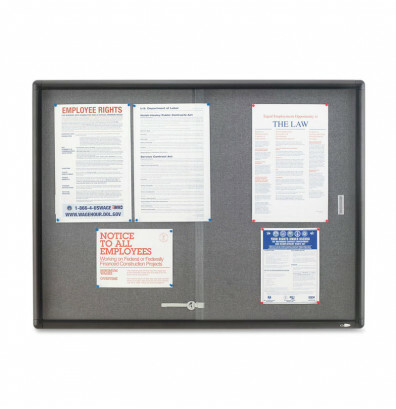 Quartet 2364S indoor 4' W x 3' H sliding enclosed cork bulletin board clearly displays information behind tempered glass sliding doors. Both doors feature low-profile handles and smoothly glide back and forth. Clear tempered glass windows ensure visibility for your message while a showcase lock secures documents in place. 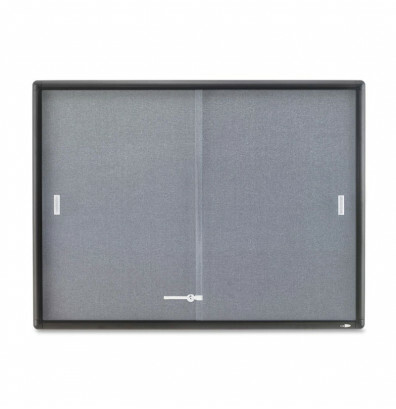 The grey fabric bulletin board is surrounded by a graphite-finish radius frame. Secure board to wall with specially designed security lock system. 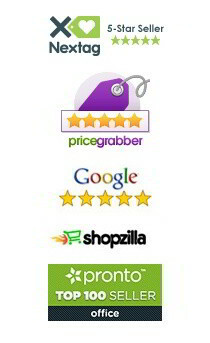 Pins and thumb tacks are available under "Recommended Accessories" on the right side-bar. 2 tempered glass sliding doors with a showcase lock protect postings and makes updating easy. Stylish aluminum cabinet has rounded corners. Includes key for showcase lock.